The Unique Boutique is an exceptional three-day shop-for-a-cause celebration to benefit the Junior League of Jacksonville’s local community endeavors. 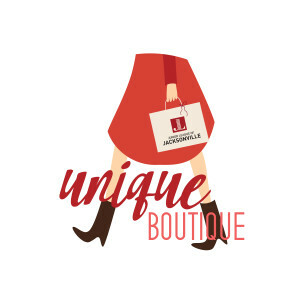 The event is held at the Riverside House and will feature over 20 local and regional merchants that represent a broad range of merchandise from home decor, gourmet food, clothing, accessories, and gifts in a boutique-style event. Preview Party, 6 – 10 p.m.
Family Day/ Unique Boutique open shopping, 10 a.m. – 4 p.m.
Bring the entire family out on Saturday for what will be an exciting day of shopping for all ages. The day will feature treats for adults and children alike. Free to the public. Sunday Brunch, 11 a.m. – 1 p.m.
Raffle drawing at 3 p.m. Unique Boutique open shopping, 11 a.m. – 4 p.m.
We look forward to seeing you at the 2017 Unique Boutique!